Magic Monday: Your weekly ticket to travel happiness! You might hate Monday, but you'll love our hand-picked selection of special offers... fresh every week. 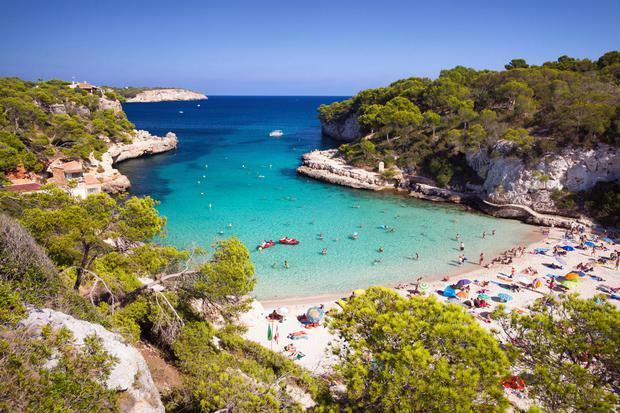 Budget Travel has several post-Easter specials, including seven nights in Majorca from €209pp. The deal includes flights, transfers and accommodation at the basic Hotel TRH Torrenova in Palmanova, departing April 24. 01 435-0022; budgettravel.ie. Here on Independent Travel, we've got direct flights plus three nights in Reykjavik, Iceland (3-star accommodation) from just €259pp departing April 23. 01 637-1607; travel.independent.ie or book here. GoHop.ie has flights plus seven nights in a 3-star hotel in Malta from €312pp based on an April 30 departure from Dublin. Taxes and charges are included. Five nights are available from €270pp, departing May 18. 01 241-2389; gohop.ie. The Irish Cycling Show takes place at the RDS Main Hall this April 18-19, and ITAA members have several deals to match. JustSplit.com has flights plus a four-night guided mountain biking holiday in October or November from €500pp, set in the Montnegre-El Corredor National Park. The price includes flights, 3-star B&B hotel accommodation, bike rental and guides. 057 862-1226; JustSplit.com or itaa.ie/offers. Joe Walsh Tours has a twin-centre holiday taking in Estoril, on the Lisbon Coast, and Madeira from €749pp. The price includes flights, eight nights' accommodation (a mix of 3 and 4-star), taxes and charges. It departs April 29. 01 241-0800; joewalshtours.ie .